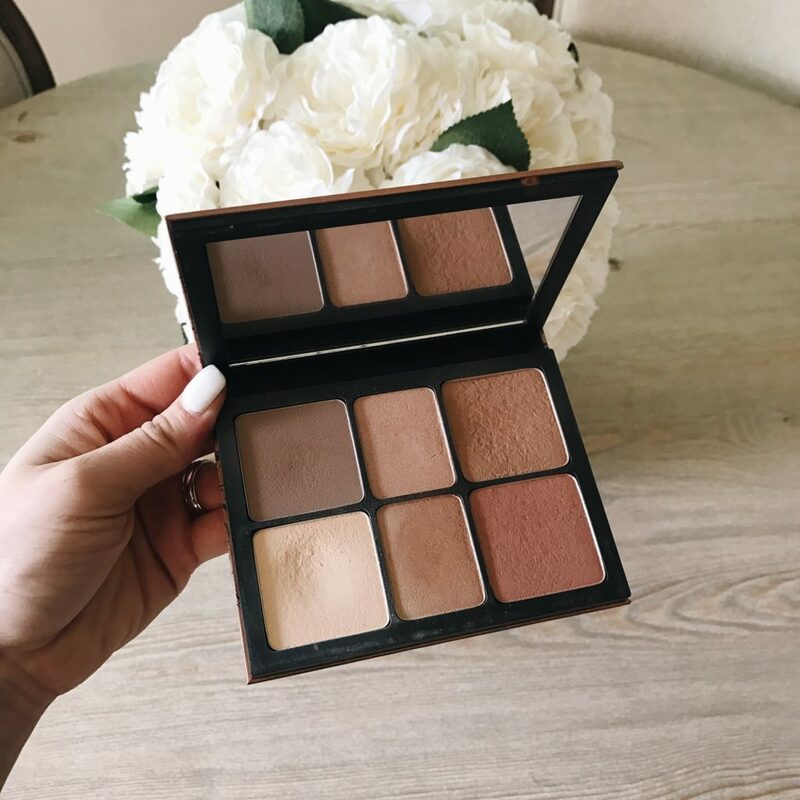 Smashbox Contour Pallet: I have been using this contour pallet on the daily! What’s funny is I use every single color in this pallet in my daily routine. I will contour with the top left bronzer, bronze with the top right corner (and use in the crease for eyeshadow, set my under eye with the bottom left color, use the blush in the bottom right corner, highlight with the top middle color, & use the bottom middle color on my eyelids for an eyeshadow. So it’s basically the perfect all in one pallet. 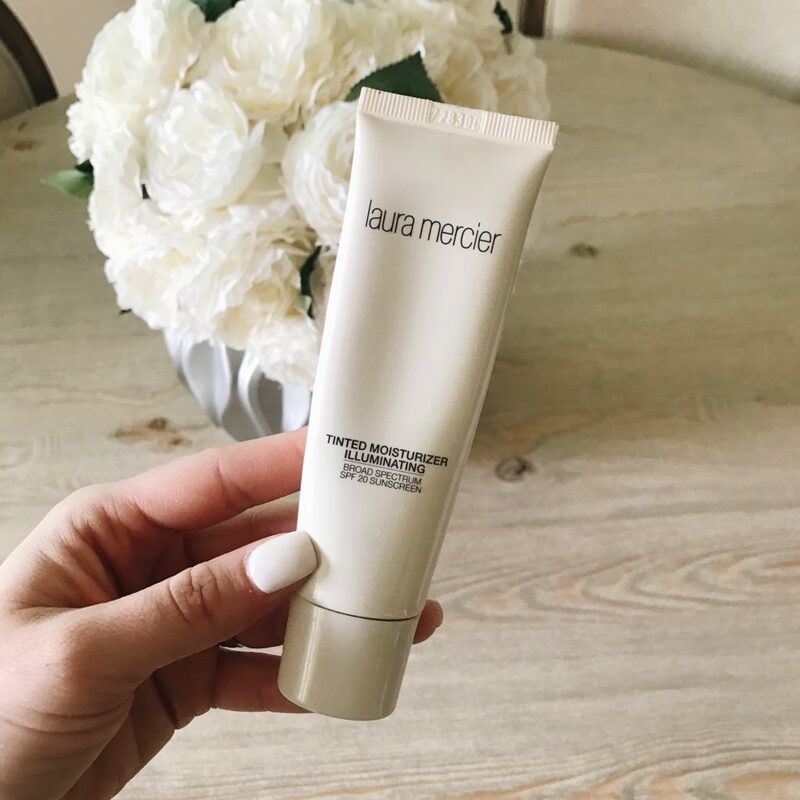 Laura Mercier illuminating tinted moisturizer: This tinted moisturizer has made the perfect summer makeup staple! I like to wear a lighter amount of makeup in the summer due to our hot Texas climate. What I like to do is mix a tinted moisturizer in with my everyday foundation to give a lighter coverage, & a more hydrated look. 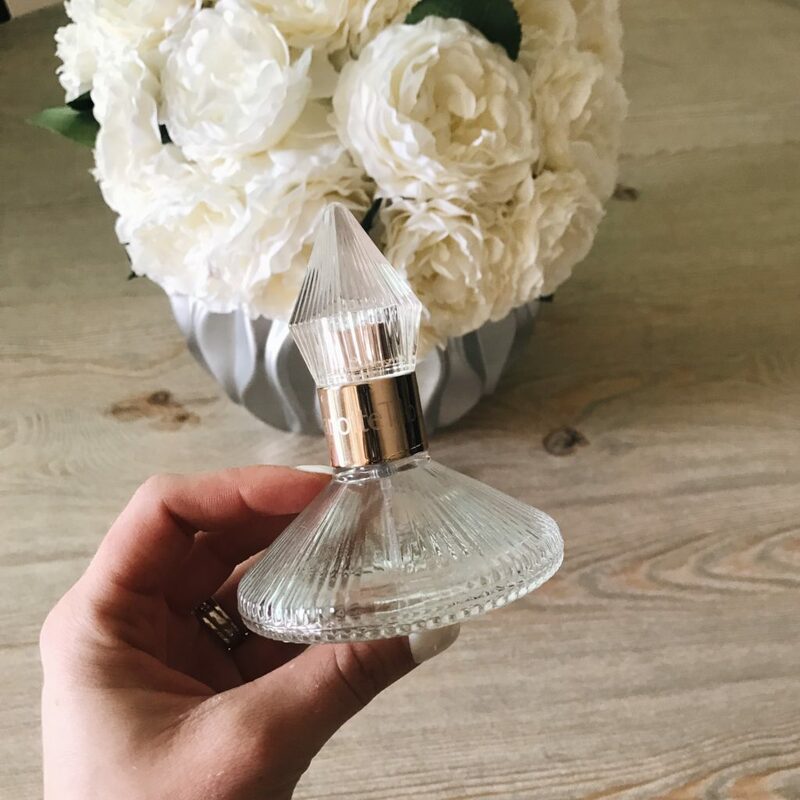 This one has a beautiful illuminating finish & contains spf! 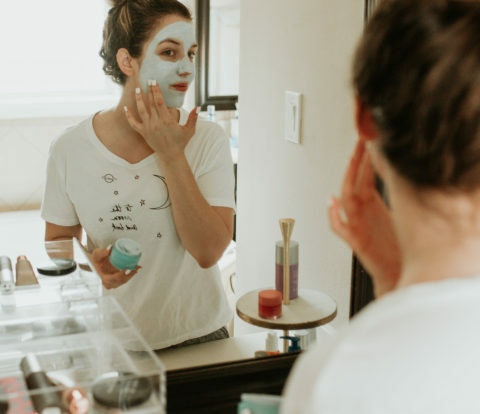 It’s also perfect for those “no makeup” makeup days. 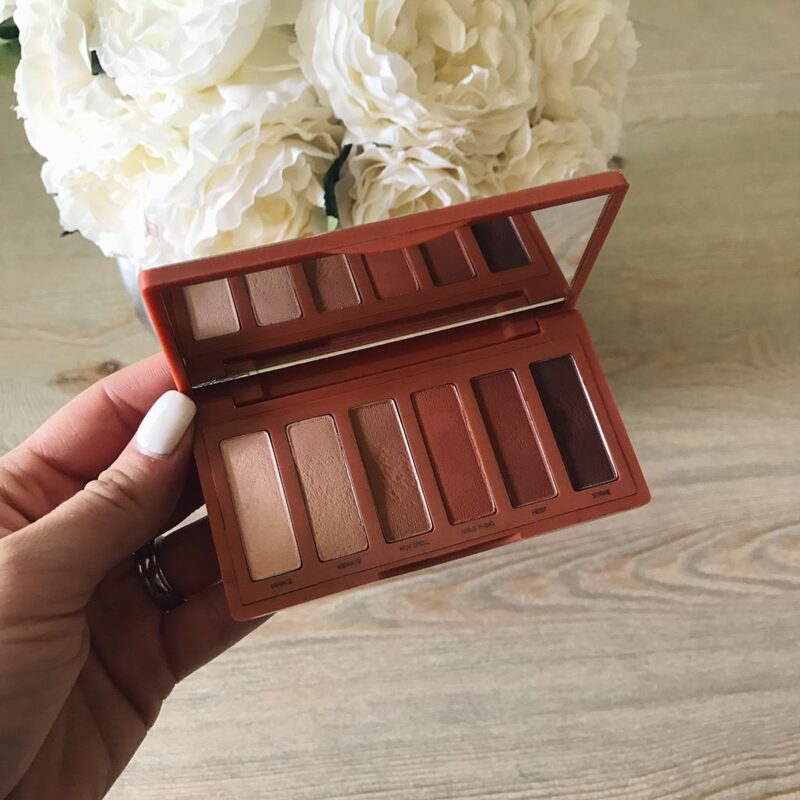 Urban Decay Naked heat petite pallet: I love wearing warm tone eyeshadows! 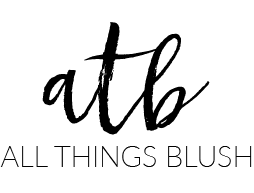 This little eyeshadow pallet is perfect for a basic makeup look with a pop of color. It’s small so it’s also good for travel. 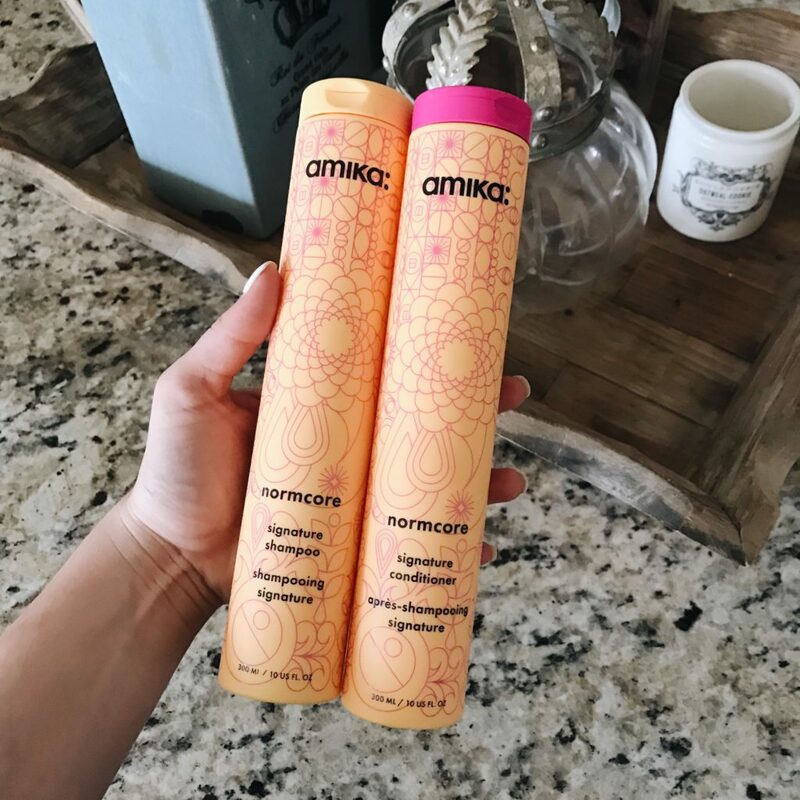 Amika Normcore Shampoo & Conditioner: I get a lot of questions about hair products so I am including a few of my favorites in this post! This shampoo & conditioner combo has been my go-to for a couple months now. 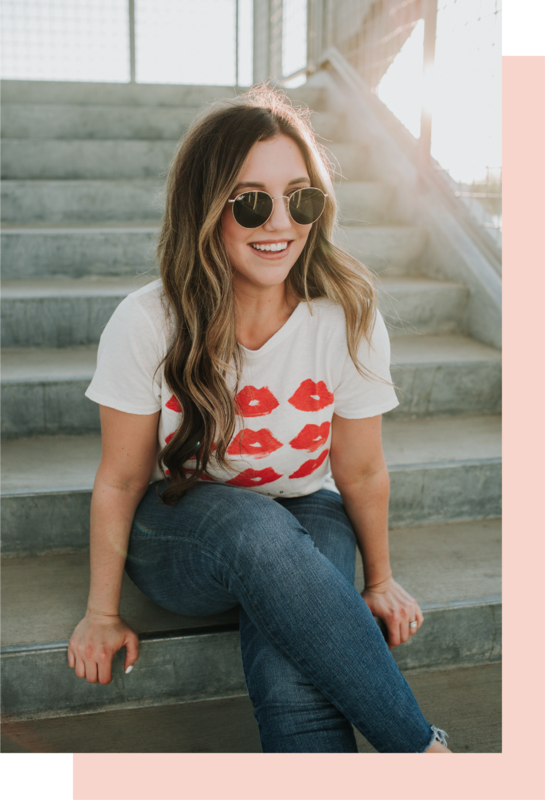 Whether you wash your hair everyday or only once a week, this combo is perfect for anyone! It’s infused with a cocktail of vitamins & antioxidants making your hair super clean, hydrated, soft & shiny. 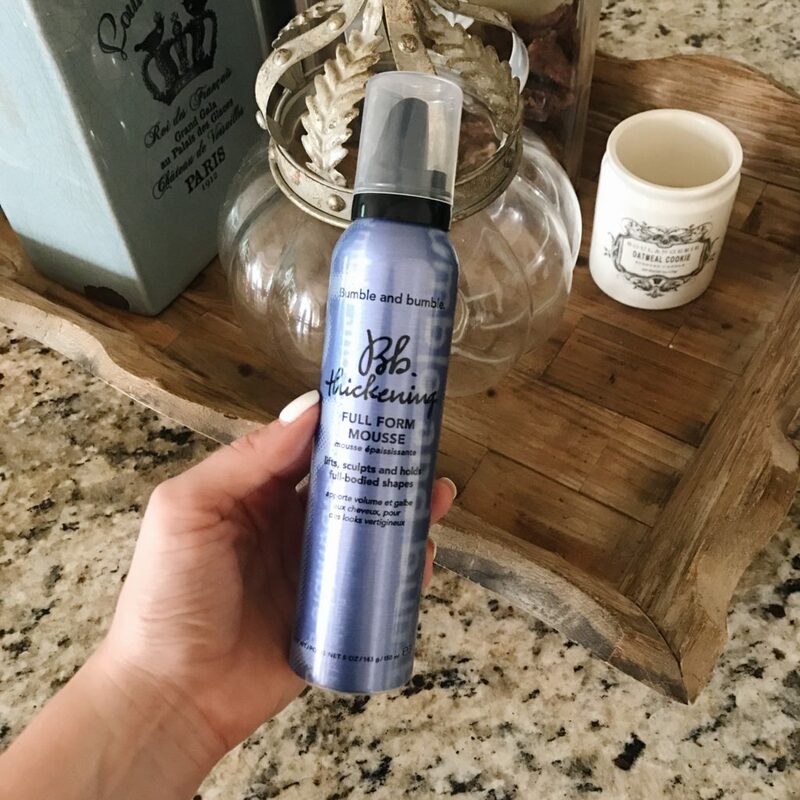 It’s Free of sulfates, parabens, phthalates, gluten, silicone, oil, mineral oil, petrochemicals and artificial colors- making it safe for color treated hair. 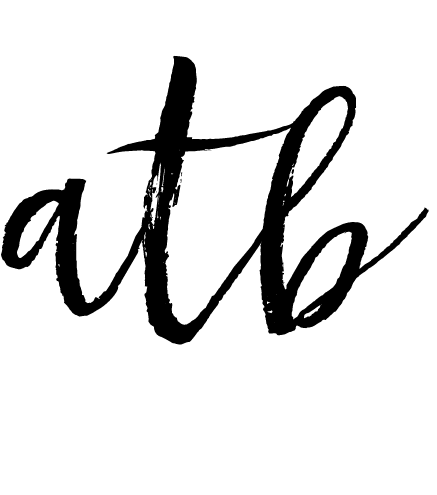 Bumble & Bumble thickening mousse: This is probably my number one favorite hair product. It gives your hair SO much volume & shape. I work it into my roots after I shower & before I blow dry. This is a product I cannot live without for my clients & myself! 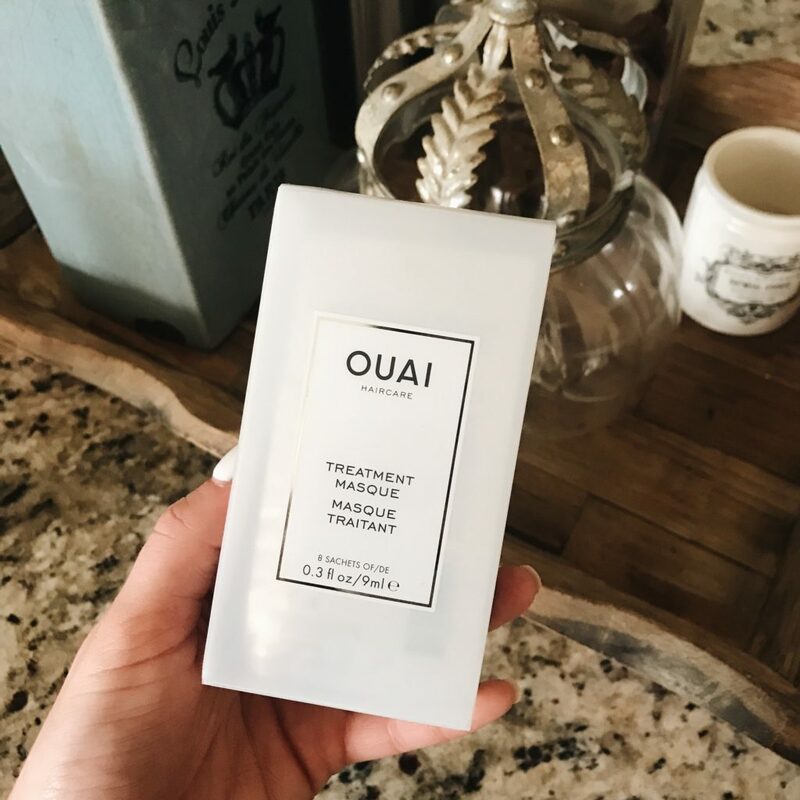 Ouai hair Mask: My hair has been experiencing a lot of breakage from heat damage lately & this hair treatment has literally saved my hair. It is a restorative healing mask that’s formulated to leave strands incredibly soft & smooth after just one treatment. My hair has never felt softer after just one use! This product restores damaged hair, creates resistance to future damage, & mends split ends. 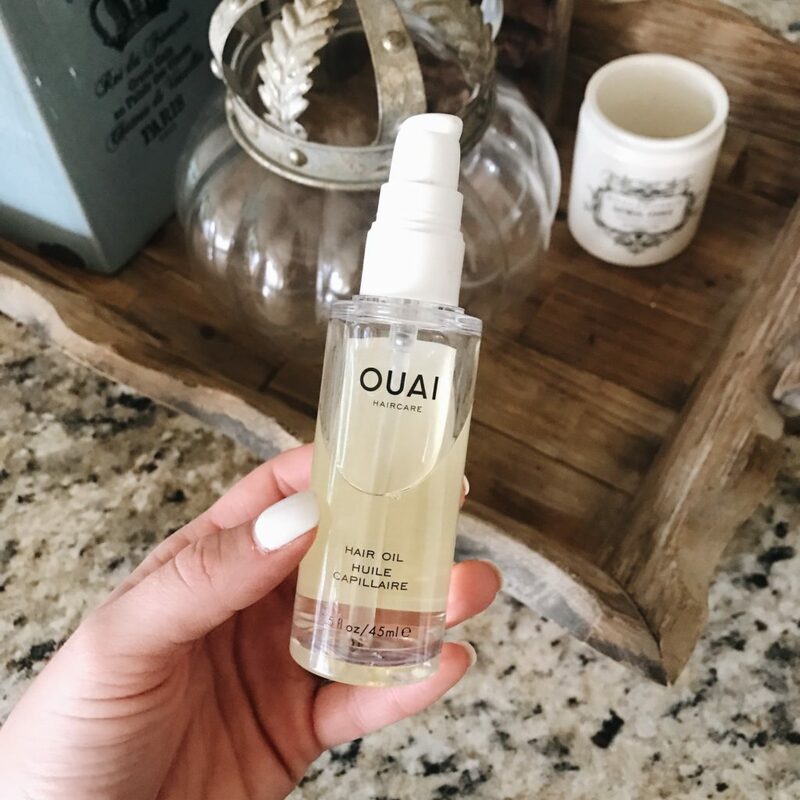 Ouai hair oil: Everyone needs a good hair oil in their hair care regimen. The Ouai hair oil has been my absolute favorite so far. One of the main reasons why I love it so much is because it’s so lightweight! It smooths my hair, provides high shine, protects against heat damage, & quenches my hair ALL without weighing it down. 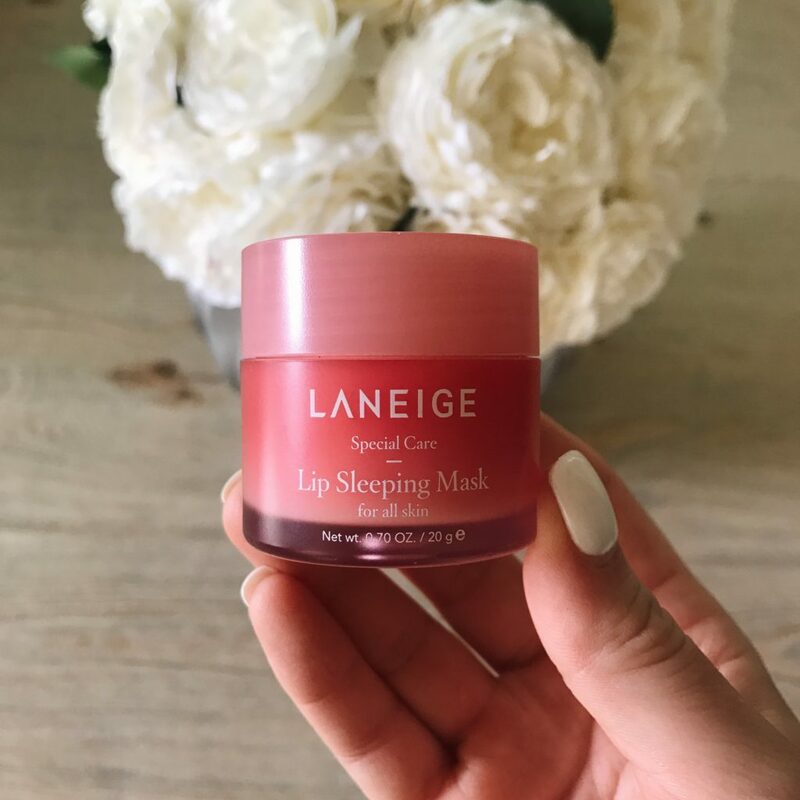 Sleeping Lip Mask: Okay y’all…. This lip product has been one of my most favorite discoveries. 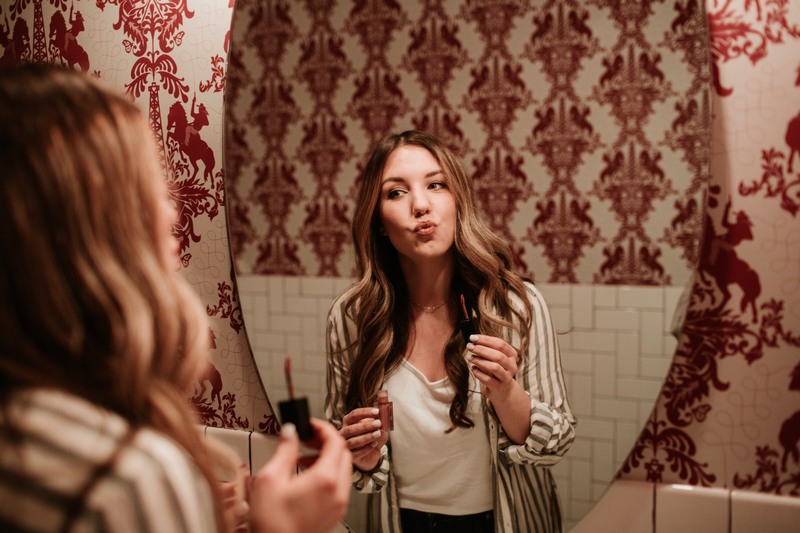 When Blake & I went to NYC my bestie Kate made me try this magical little lip product she had. I ended up asking her to use it multiple times a day during the entire trip. So we ended up going to a Sephora & I bought my own! This product feels so luxurious and makes your lips SO hydrated & smooth. If you suffer from chronic chapped lips you definitely need to purchase this! It is the best $2o I have ever spent. I put this on at night obviously, & all throughout the day! It’s super lightweight. 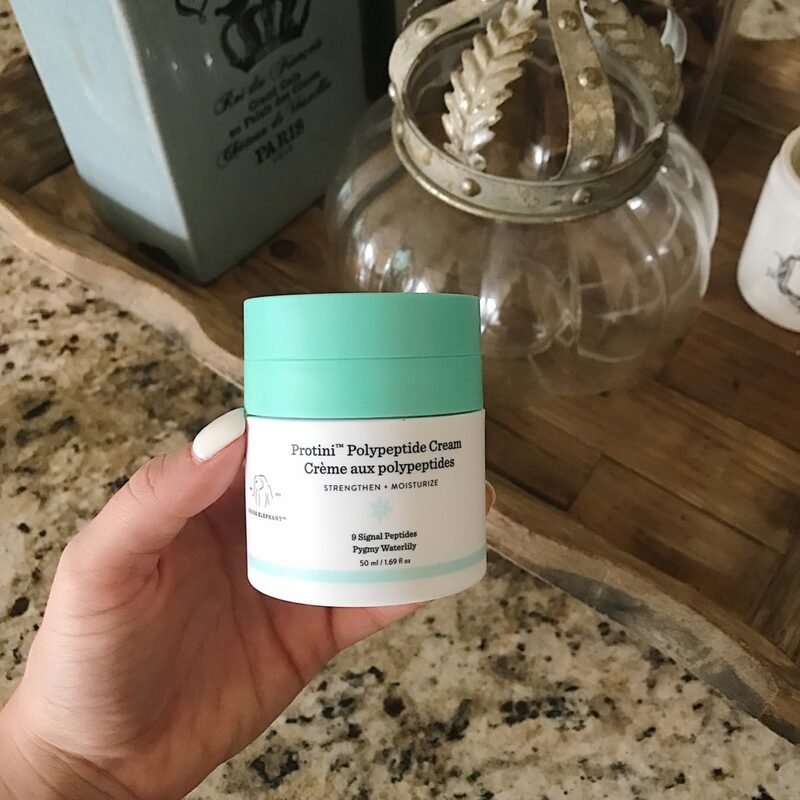 Drunk Elephant moisturizer: This protein moisturizer has been something I have permanently added to my skincare routine. I use this twice a day & notice a big difference in my skin if I go without using it! It’s perfect for all skin types & is made with very clean ingredients. I highly recommend going to Sephora & asking for a sample, or buy a mini version to see if you love it! 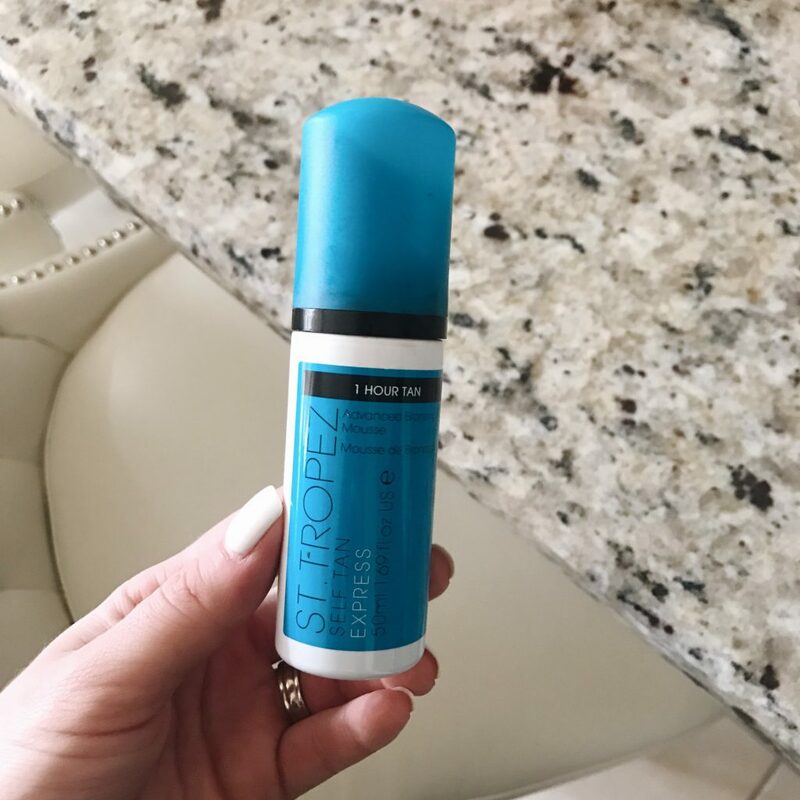 St. Tropez self tanner express: Self Tanner has been a must for me this summer. I have absolutely NO time to lay out & get a real tan unfortunately. Does this mean I have hit adulthood? Anyways, this is my new favorite self tanner because it will develop to it’s full potential in 3 hours. I love this because I can rinse it off before I get in my bed sheets! It also gives the most beautiful sun kissed olive glow!